Just over a month ago I was the very fortunate recipient of an irobot Roomba 980. Which for the uninitiated is one of those DIY vacuums that cats ride on. Unless your cat is called Boo and has zero interest…! My first impressions which you can read here were very positive but a month on has it lived up to the hype? I’ll be honest – whilst I am a very positive person I can often verge on the cynical. I’d love nothing more than a device that genuinely makes my life easier and takes care of some of the housework burden. But the truth is I don’t think such things exist. After all, we have a cat and dog and most regular vacuums can’t cope with that even with my elbow grease. So how on earth could one that runs itself ever stand a chance of dealing with the dirt? Let me tell you though, the irobot Roomba 980 has swiftly banished any doubts I had in mind. Dare I say it, it’s possibly even better than our main vacuum. Ok, so it’s shape means that it can’t get right into corners BUT it makes up for that by going under the sofas. Oh, and under the bed and coffee table too. Which when you do have pets which molt as much as ours, is invaluable. Feathers and fur balls are now a thing of the past. That said, I love being able to set the Roomba 980 off for a tidy up downstairs since this is the area that suffers the most from pet ownership. It’s also not phased by switching between floor coverings. We have a thick carpet in the living room and a laminate in the hallway. Combined with a vinyl in the kitchen, you would think failure is a given. Yet it tackles all the different floors without skipping a little rotating beat. It navigates chair and table legs but of course you’ll get the most out of your machine if you lift as much as you can off the floors. And do be careful about cables #speakingfromexperience. Are there any faults worth mentioning? Not particularly. Yes it’s a tad noisy (er, it’s a vacuum right?!) and it does take longer than I would. BUT WHO THE HELL CARES? I HATE cleaning, everything about cleaning. So I’m 100% all for anything that makes my life easier. Just yesterday afternoon I popped it up in our top floor bedroom to clean whilst I went downstairs to lunch prep for the week. I mean multi-tasking is a cinch with this baby. The carpet is now spotless and it did the en-suite too. I hope I’ve given the correct impression that I’m very smitten, smitten as a kitten, with my new toy. Now, if I could just employ one of those butlers in the buff to take care of the rest I think my life would really be complete. 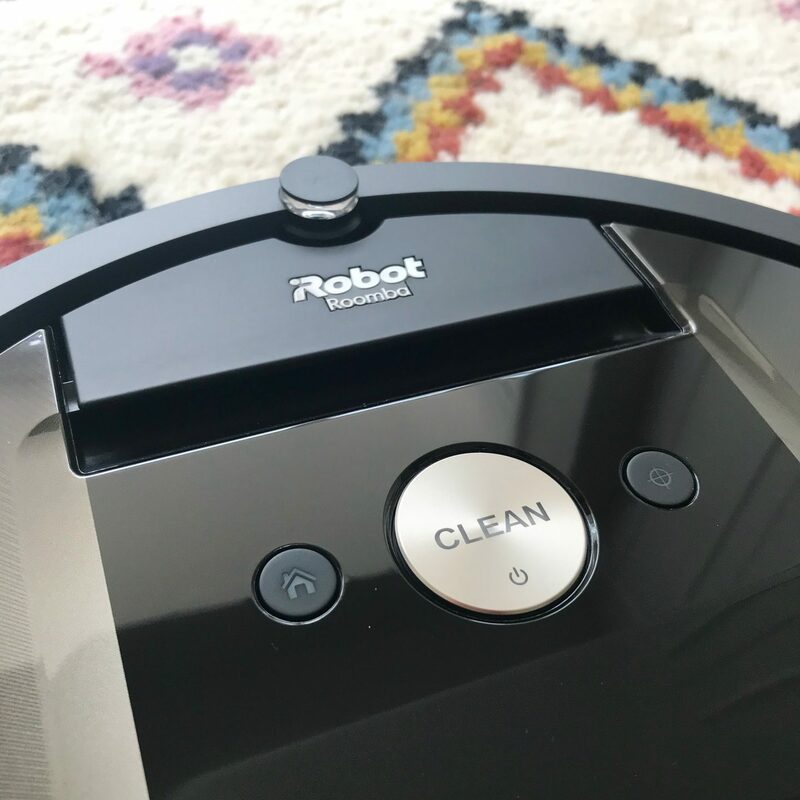 Disclaimer: irobot very kindly gifted me the Roomba 980 in return for an honest review. As always, I only ever accept product from a brand I love and would genuinely use. Hi Lin, can I please ask, how does the vacuum work around rooms that have rugs? if it is on the floor and then ‘meets’ the rug, is it able to go on it or does it react as if the rug is an obstacle? 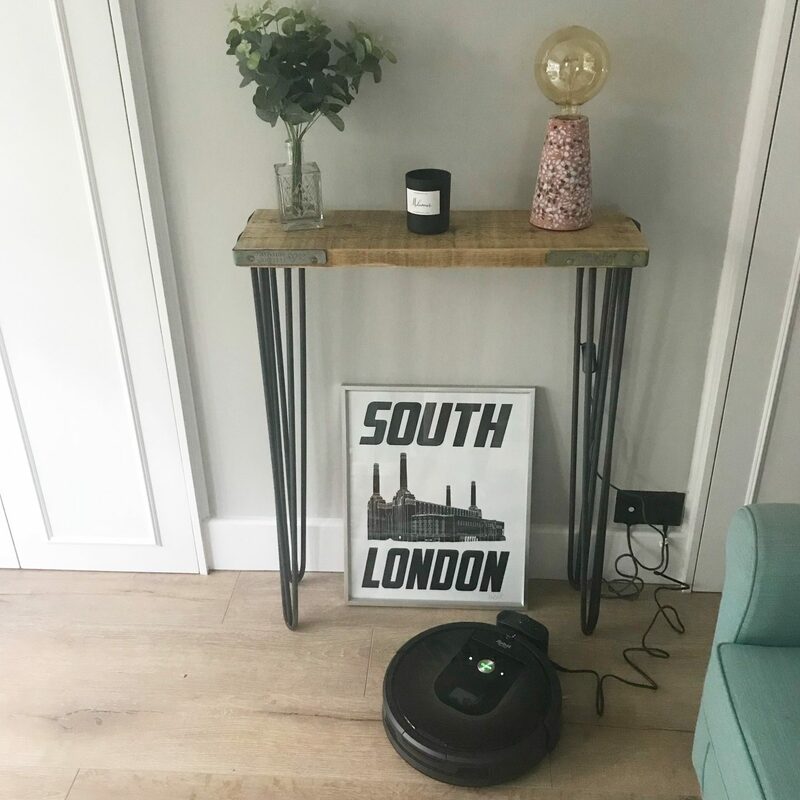 Interested to know more as we do have rugs in all rooms and some are obviously a little deeper that others hence you need to lift a normal vaccum on them…. I so need one of these in my life, though the poor thing would be working 24/7 given how messy my furry and non-furry family members are! Oh my this is genius!! This is too of my wish list when our vacuum cleaner does, it looks brilliant! I’ve literally been looking at these! So pleased I’ve read this, it’s going on my xmas list! This sounds like an amazing time saver. I’m not sure what my dog would make of it. He growls and chases the hoover when I use it. I imagine if I used the app it would clean the carpets and exercise the dog for me at the same time! 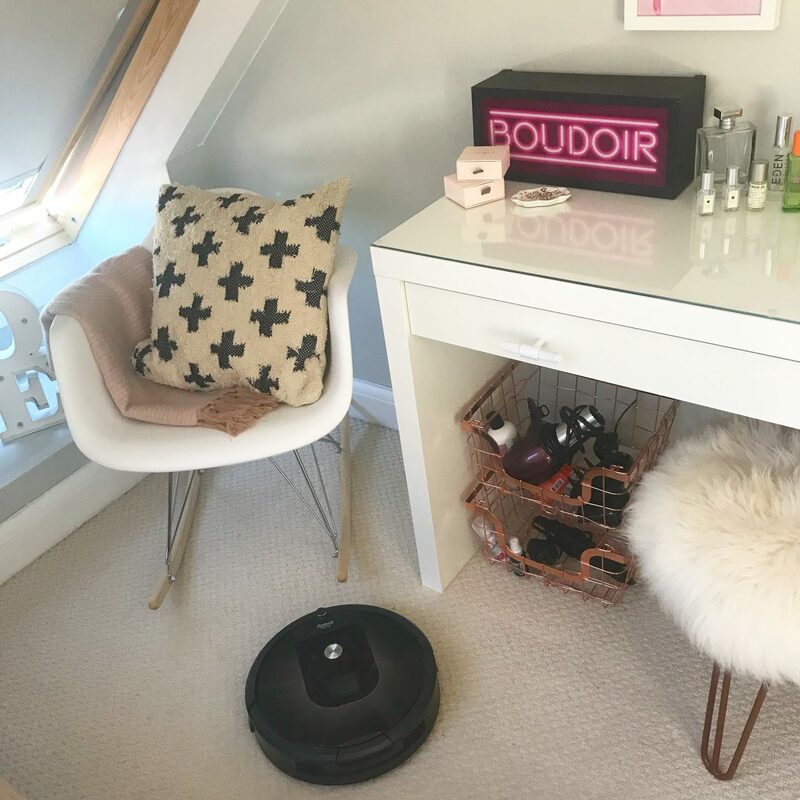 This is the second great review I have read about this nifty little gadget and as soon as I have trained my toddlers to stop dropping everything on the floor I am definitely investing in one of these. I detest vacuuming with a passion so if I had one of these who could do it whilst I’m at work that would be a dream come true! I so need one of these and it’s great to hear your experience of one. It’s a bit of an investment piece and reassuring to know you’d recommend it!